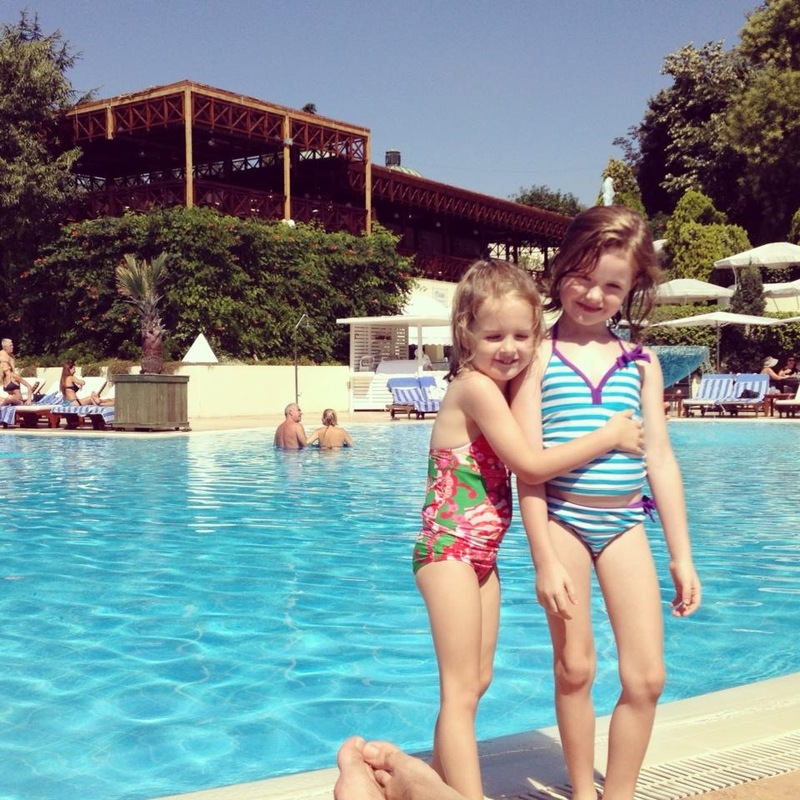 When you’ve experienced something wonderful, and it caters to having a family, why wouldn’t you go back? When my family and I traveled to Dresden, Germany in winter 2012, we were in heaven when we came across the Swissôtel Dresden. The service was impeccable, the rich history of the building was memorable, the company is eco friendly and the attention given to the children was top notch. That’s why we decided to stay with the Swissôtel the Bosphorus during our recent travels to Istanbul, Turkey, a 2011 Conde Nast Traveler Gold List member. 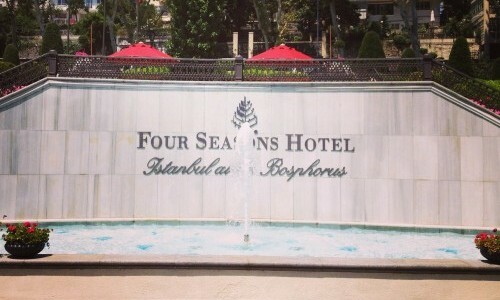 The hotel is located on the European side of Istanbul, and situated within 65 acres of historical gardens, offering a tranquil view from the park rooms. Elegantly dressed doorman greeted us upon our arrival and led us into an amazing and expansive lobby, ranking right up there with one of the most elegant I’ve seen, featuring sitting areas, high end shopping and views to impress. Check-in was flawless, as was every aspect of the hotel, from what I could see. The main building houses elegant hotel rooms, while the newer building features a brand new Swissôtel concept, Swissôtel living. These are elegant studio to 3-bedroom apartments featuring everything you could imagine to make your stay comfortable, and it happens to be where we were fortunate enough to spend our time. Fun Fact: The designer of the Swissôtel living apartments, Khuan Chew, also worked on the Burj Al Arab. The luxury apartments are what you’d expect in today’s modern convenience world. 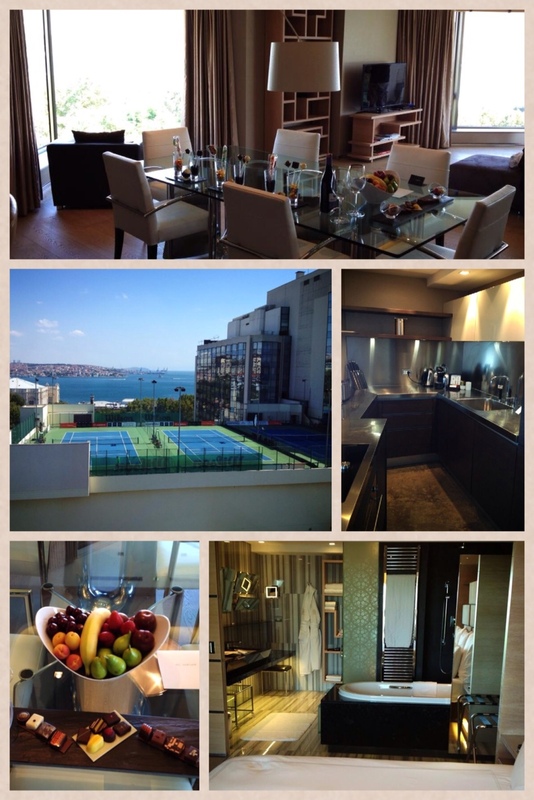 We stayed in the 3 bedroom Bosphorus view suite. The expansive floor to ceiling, wall to wall windows can be hidden with the touch of a button, sending blackout shades into action. The kitchens are fully equipped with everything you’d need to cook for your family or host friends, even your own Nespresso machine. It took us a while to figure out how to work the cook top, as it’s completely operated with a magnet. The kids found that fascinating as it led to an instant mini-science lesson. High speed internet allows anyone to stay connected with friends, families and colleagues. The dining room provided a beautiful glass table seating eight. You’ll find interactive TVs, along with satellite channels for your entertainment. Our master bedroom maintained the modern luxury feel with its king sized bed, sliding door separating the bathroom from the main room, a soaking tub and a beautiful shower. I instantly put on my slippers and robe, and relaxed in the living room, enjoying the views of the Bosphorus. The crown jewel of the luxury apartments, the rooftop oasis, complete with lounge areas, drink and food service and an infinity pool overlooking the Bosphorus. 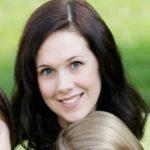 What tugs at a mom’s heart most is when a hotel remembers the children. We’ve had some incredible treatment from hotels when they know we’re bringing the family in tow. 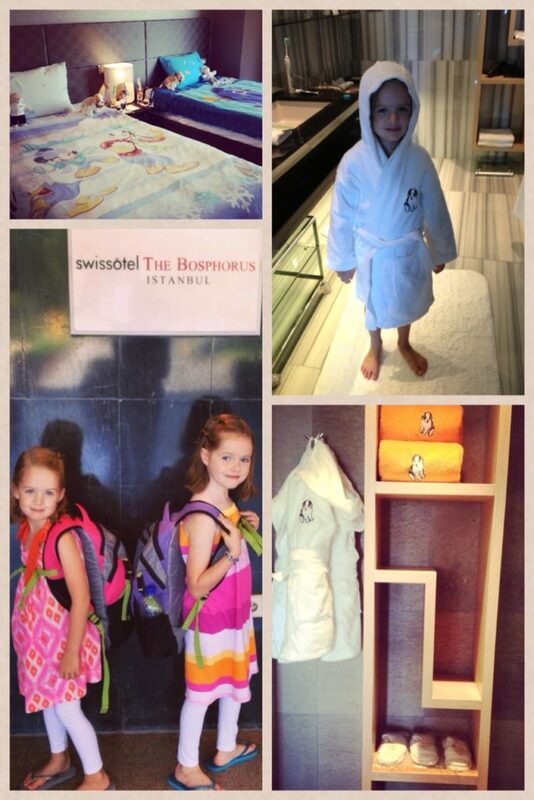 The Swissôtel really knows how to welcome kids and make them feel just as special as the parents. squealed with joy when they found robes and towels just for them. In the living room, the hotel had also provided two children’s movie DVDs to watch. This Swissôtel boasts 10 restaurants, ranging from lounges to fine dining, featuring Swiss, International and Japanese cuisines. We ate at the lovely buffet breakfast in the lobby of the apartment building and found it charming with its attentive staff and tranquil setting. The restaurant offered tables, sitting areas to enjoy the library of books and two TV areas. The Purovel Spa is a holistic spa you’ll find with every Swissôtel. Using only the best resources, the Purovel Spa becomes a sanctuary, as you inhale only the best essential oils and relax in the many treatments offered. The Bosphorus location has both an indoor and outdoor pool, private and group exercise classes, a traditional Hammam, a fitness center, roof top tennis courts and steam rooms and saunas. If that wasn’t enough, the Purovel Spa also has an outdoor, 520 meter parcours, taking about 40 minutes to complete. Between an awesome location and the impressive serviced offered, why wouldn’t you treat yourself to a stay at Swissôtel the Bosphorus? And don’t worry UAE, we’re getting our own Swissôtel in Dubai, 2015!